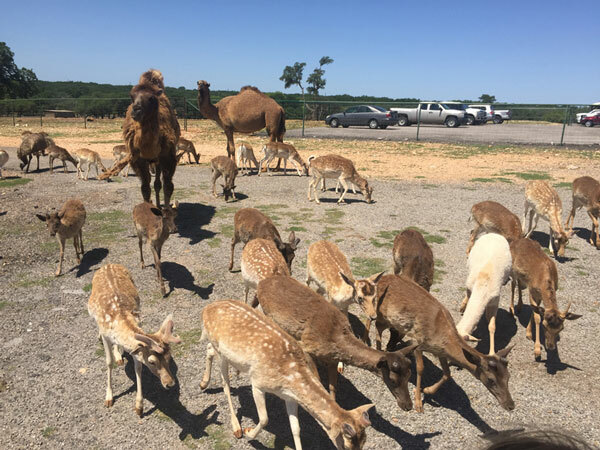 Take an adventure to see a dazzle of zebras and other exotic creatures such as kangaroos, camels and more on a Hill Country safari at the Exotic Resort Zoo in Johnson City. On the day I visited, I was tossed into a field trip of kindergartners who were utterly delighted by the experience. Their enthusiasm rubbed off on the adult chaperones. I didn’t see a single person without a smile on their face by the end of the ride. When paying admission, be sure to pick up a bucket of food as well. The food isn’t included in the ticket price, but it’s something you absolutely need. 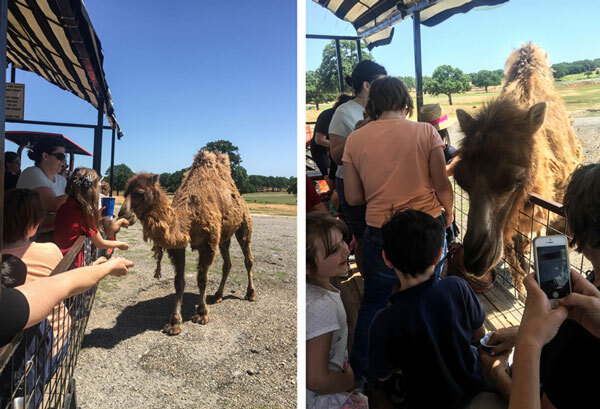 The Exotic Resort Zoo is a fully hands-on experience: You get to feed the animals by hand and even reach out to pet them. 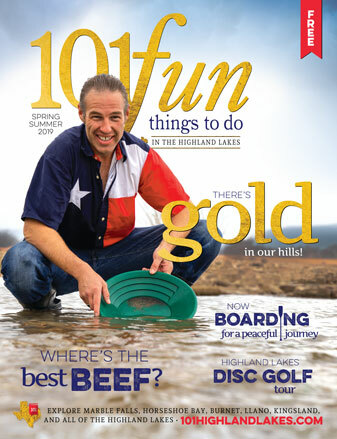 Once you are inside the park, you will be led through a picnic area to a large tractor-trailer. The trailer has bench seating that goes all the way around. Don’t get too comfortable: Once the tour starts, you’ll be moving about the trailer to reach the animals. You are instructed to feed most of the animals with open palms so they don’t accidentally bite your fingers. The tour guide will give you different instructions for different animals, so be sure to listen. 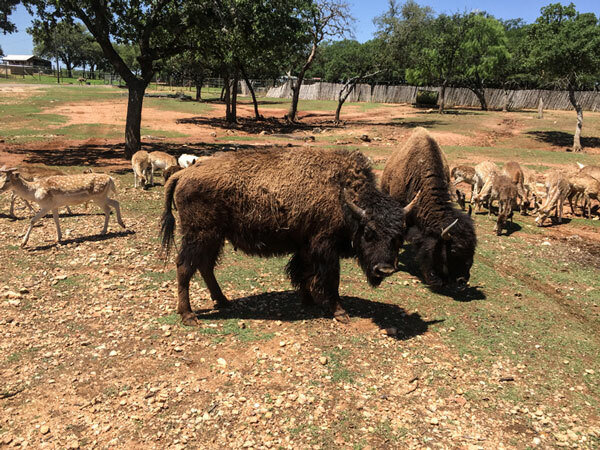 The ostrich eats out of an open bucket, and the buffalo likes the food to be poured into its mouth. The ride lasts approximately one hour. Guided tours run from 9 a.m. to 6 p.m. seven days a week. 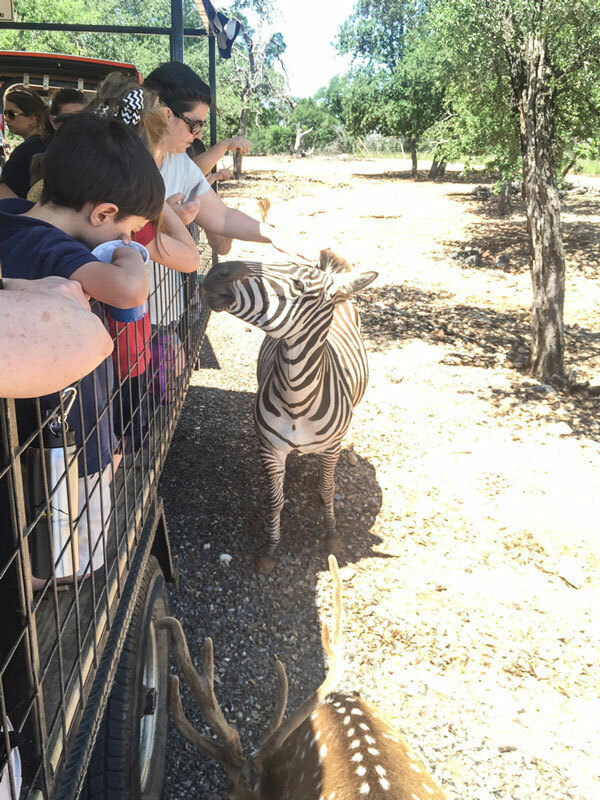 After the tour, be sure to visit the petting zoo to get the full experience. 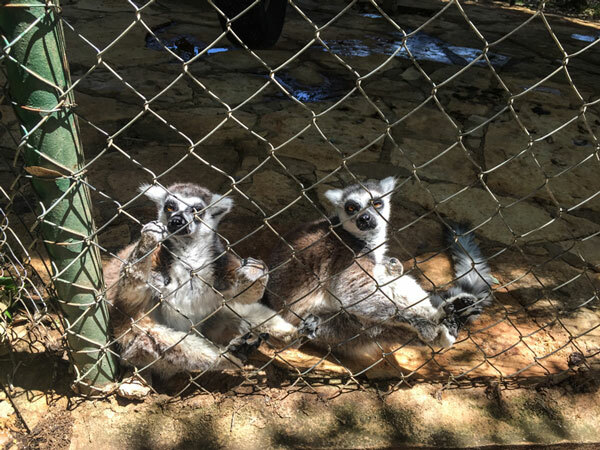 The Exotic Resort Zoo is located at 235 Zoo Trail in Johnson City. Visit the website at zooexotics.com or call (830) 868-4357 for more information.